Geeks — Geeks on Tour is member supported. This FREE newsletter is made possible by our paid (Premium) members. Member benefits include access to over 400 tutorial videos, asking questions on ‘Ask the Geeks’ forum, Show Notes for our weekly show, “What Does This Button Do?” and all our eBooks including Mrs Geek’s Guide to Google Photos. February began in the Tampa Bay area. The photo above is from Fort DeSoto park in St. Petersburg. Don’t you think that photo looks extra good? I enhanced it using the free Snapseed app – see the article later in this newsletter to learn exactly how. ​​​​​​​We made appearances at 3 RV parks and 3 computer clubs during the month, teaching Smartphones, Google Photos, and making your own website. When at the RV parks, we stayed in our sweet Roadtrek camper van. For the clubs we were home in our townhouse in Fort Lauderdale, Florida. See our February photo album for more pictures, and our Blog for the rest of the story. ** Snapseed is SO fun and so powerful, we’re making a complete learning guide for members. Episode 137 – will be recorded live on Sunday Mar 4 at 2pm Eastern, The topic is understanding the Accounts on your phone and how they hold your stuff. By the way, our pictures, Blogs, Web Albums, maps, and videos are all examples of what we teach. You can learn how to plan, preserve, and share your travels (or your life.) It makes the experience that much more enjoyable to get creative and share pictures, maps, stories, and movies with friends and family. Check out our Learning Library of Tutorial Videos, just go to GeeksOnTour.com and click the menu for Tutorials. There are plenty of free videos in addition to our members-only content to whet your appetite for learning. We record them in a live stream, normally on Sundays at 2pm ET. Thursday is “Gabbing With the Geeks” on Facebook Live to answer questions from viewers and discuss anything. 5pm ET. 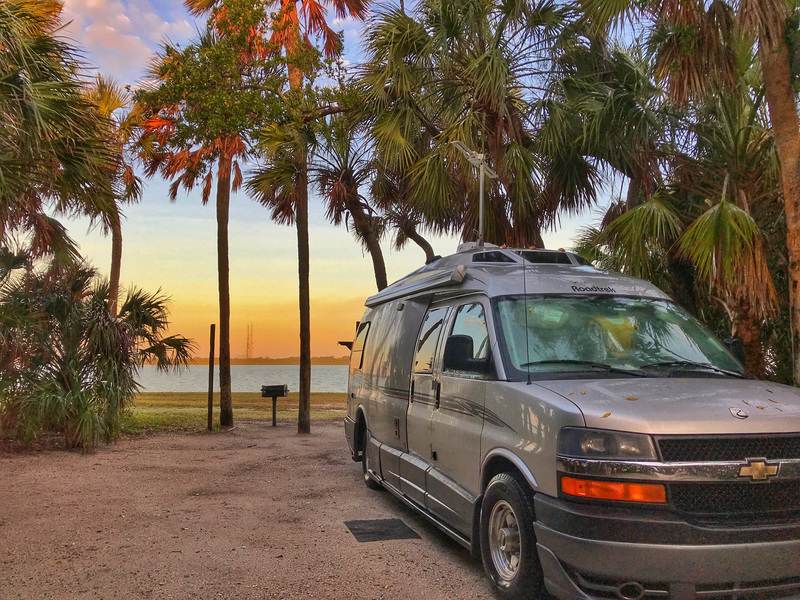 We’re in South Florida getting read for the first big RV rally of the season. 3/15 -3/18 FMCA 97th INTERNATIONAL CONVENTION AND RV EXPO We’ll be presenting 4 seminars plus a hands-on smartphone photography class. 4/17 – 4/20 Roadtrek Meet and Greet Rally in Silver Springs, Fl. We’ll present seminars and participate in the Q&A sessions. 4/22 – 4/26 Escapee’s Western Area Rally (WARE) in Las Vegas, NV. Presenting 4 seminars and free 1on1 Smartphone help sessions. What to use to display a slideshow on a TV? How to see pictures from my daughter? Flagging a Gmail message for follow-up? Is your own website secure? You don’t want visitors to your website to see the message above! But, that’s exactly what will happen if you don’t take action before July. If you have a personal website, blog, small business or club website, please check to see if your address bar includes the padlock and httpS. If not, read on ..
Tom Parks is very active in our Ask The Geeks Q&A forum. We feel we’ve gotten to know him from answering his questions and reading his comments. But, we had no idea! He’s not just an eager learner of technology, he’s a teacher himself … and a world champion of Yo-Yos! You gotta read his story, it’s fascinating. You’ll see a photo of him teaching Mr. Rogers how to Yo-Yo, and a youtube video where Tom teaches Yo-Yo skills and tricks! Do you go to beautiful places and take pictures that don’t do the place justice? I am often disappointed when I look at my pictures, thinking “It looked so much better than that” I almost never accept a photo as it was taken. At the very least I crop and apply the “Auto” filter just using Google Photos. But sometimes I want more, that’s when I use Snapseed. In the example above, the enhanced photo took a click on tools, then HDR Scape in Snapseed. The text was added with Snapseed’s text tool. If you regularly watch our “What does this button do?” show, you may already know these. Read the article anyway, just to be sure! These tips are excerpted from the show notes to Episode 75 of What does this button do? Long Press means the same thing as Touch and Hold. It’s not pushing on the screen, just touch the screen then leave your finger touching the screen and see if something happens. We’re updating the website all the time. There are nearly 1,000 articles, 500 videos, and 132 What Does this Button Do Episodes. How do you find what you want? Here are some tips on how to get to the best stuff! The Geeks on Tour website is an online learning library for Travelers who want to learn to use their computers and mobile devices for managing digital photos, making blogs, using maps and other online resources. Anyone can watch our free videos, read articles on our Computer Tips for Travelers Blog, sign up for our free monthly newsletter. A small fee makes you a ‘member‘ and you can then view any of our 450+ video tutorials on these subjects in our Learning LIbrary.